Co-Optimus - News - Diablo III Console Port Still Not Announced, but is "Going to be Awesome"
Blizzard can’t seem to make up its mind about whether Diablo III is coming to consoles. First they say they have no plans, and millions of console gamer weep. Now all of a sudden they are “‘very, very serious’ about Diablo for consoles,” according to Kotaku. The developer revealed this public change of attitude at their Gamescom press conference. Can I just say that I really wish I could have attended Gamescom this year? Thank you. Back to the subject at hand, Blizzard admitted that they are hiring console developers who would like to port Diablo to consoles. They also said that if Diablo ever comes to consoles, “it’s going to be awesome.” The only thing they forgot to do was formally announce the console version, which we can safely assume they will do when their plans solidify a bit more. I’m feeling optimistic about the whole thing, though there will surely be a sizable wait between releases of the PC game and the hypothetical, we-all-know-it’s-coming console port. 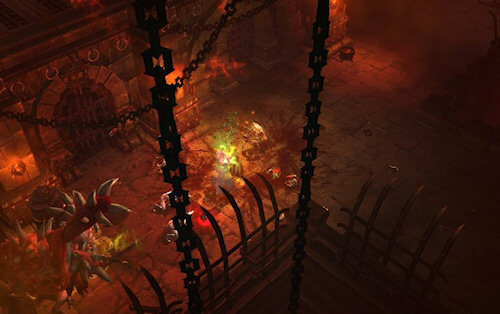 Diablo III for PC has no official release date right now, but the beta starts later this year. It will feature online cooperative play for an as-yet-unannounced number of players. Co-Optimus will stay on it like a hawk and bring you more news as it develops. Page created in 0.5311 seconds.